Dreznits, Shelomoh. 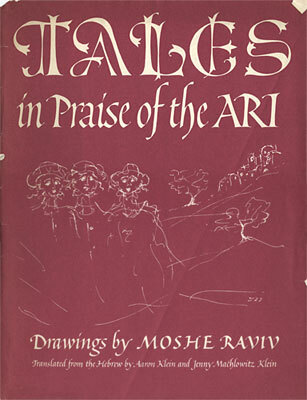 Tales in Praise of the ARI. Translated from the Hebrew by Aaron Klein and Jenny Machlowitz Klein. Drawings by Moshe Raviv. Philadelphia: Jewish Publication Society of America, 1970. 62 p., 34 cm. Book design; dust jacket design; decorative initials.